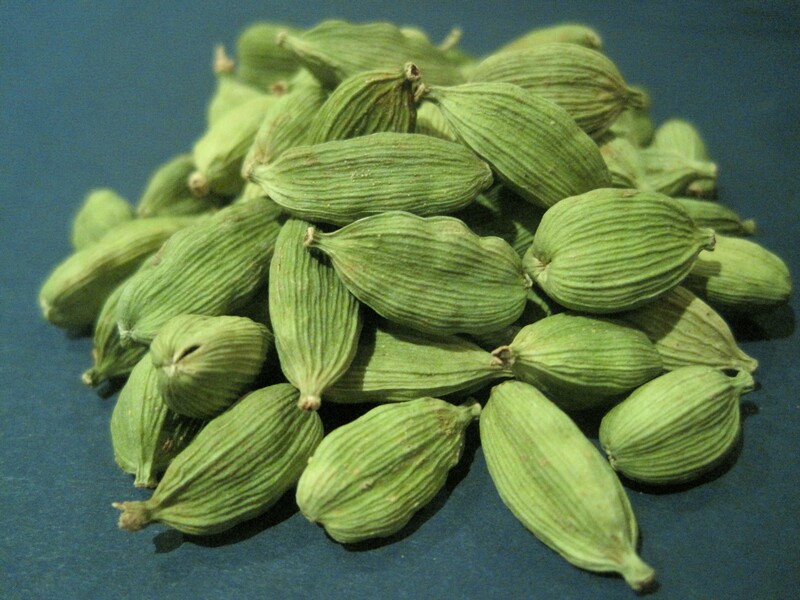 Green Cardamom is special. It has both floral and smoky dimensions and carries a rarefied, exotic quality, even for those who use it frequently. Smash the pod lightly to release the intensely fragrant, tiny black seeds inside. Whole, or in powdered form, it transforms humble tea leaves and cooked rice into something regal. Self-explanatory. 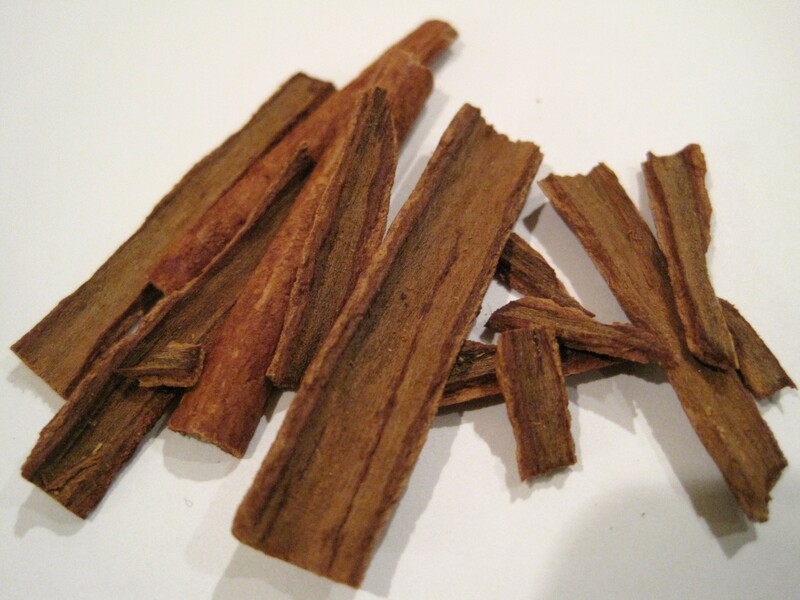 Whole cinnamon sticks are often used to flavor meat stews and desserts, and the powder is used in a variety of dishes. It is one of the key spices that make up garam masala. Cumin is nearly ubiquitous in Indian cooking and plays an important role in Bengali food, where both the seeds and the powdered form are used in a wide variety of dishes. Common also in Central and South American dishes, cumin is a woodsy and lush spice that smells faintly of allspice, sandalwood, and cinnamon. 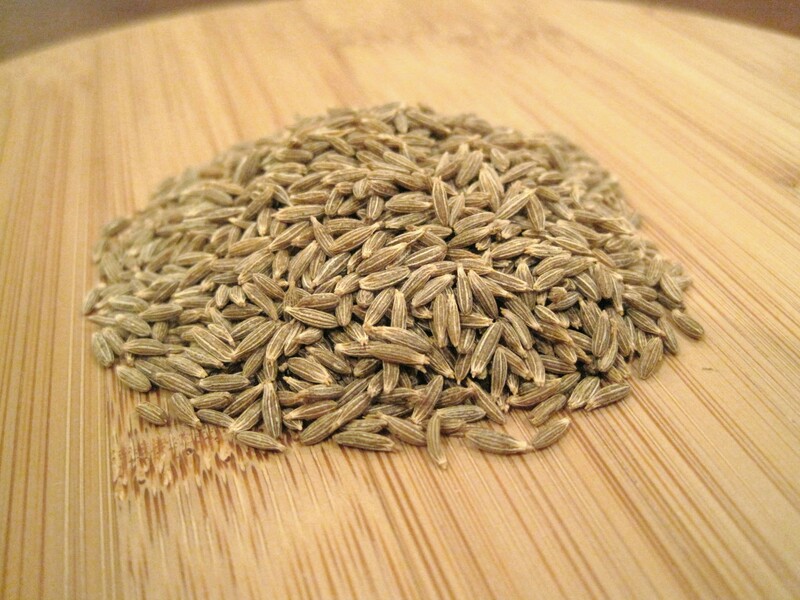 Cumin seeds can be dry-toasted to bring out richer, sweeter notes of flavor. These are sweet and taste like a stronger version of the fennel bulb, with a light and perfumy licorice aroma. 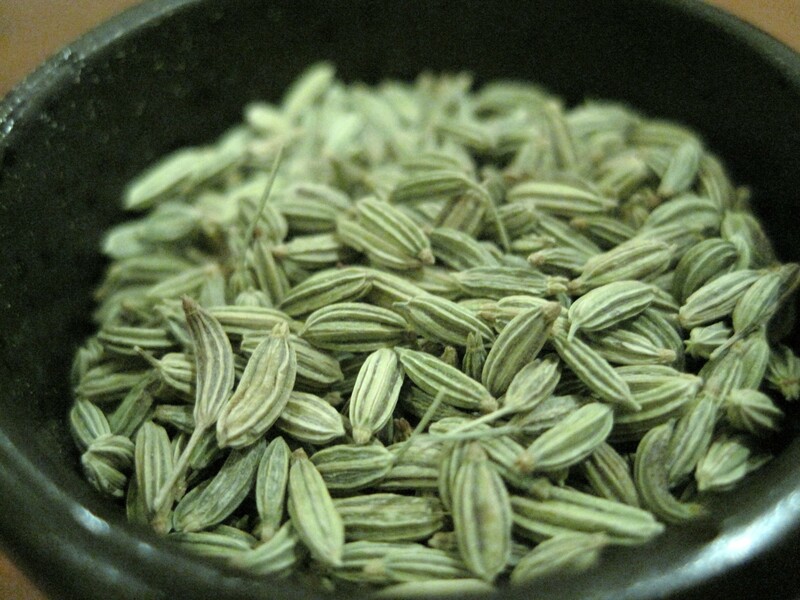 Like cumin, fennel seeds can also be dry-toasted to bring out richer, sweeter notes of flavor. Ginger is a magical thing. The root is lumpy and bulbous. It possesses what can only be described as zing. Sharp and speedy, with a zingy smell and high-fly, heat flavor. Incidentally, the fresh root doesn’t compare to the dried powder. It will not hold its own against the other Indian spices, which will mock it mercilessly at first and then overwhelm it completely. Use the fresh root, which is powerful, a magical thing. 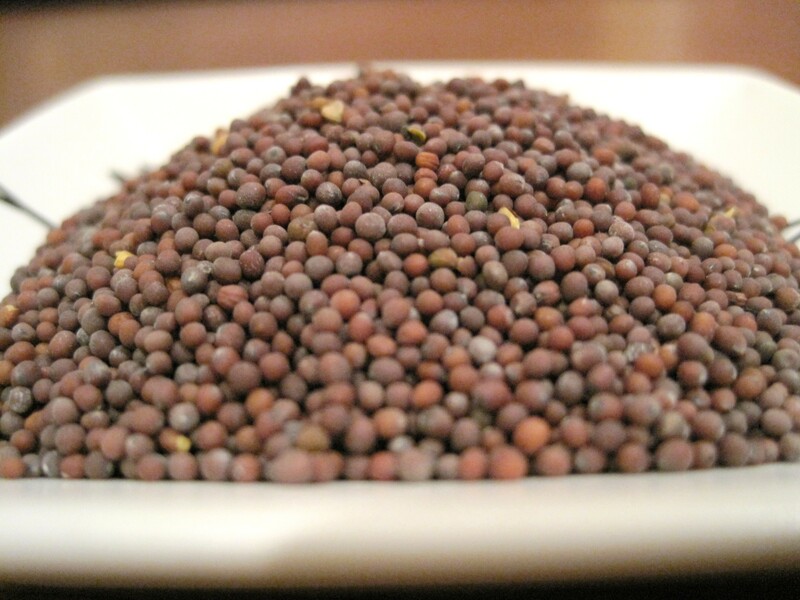 Dry whole mustard seeds are used to flavor oils, rice and vegetable dishes. Mustard based sauces add sharpness to vegetables and fish. European mustard does not work well as a substitute. For more information, see Mustard with Okra under the Recipes tab. 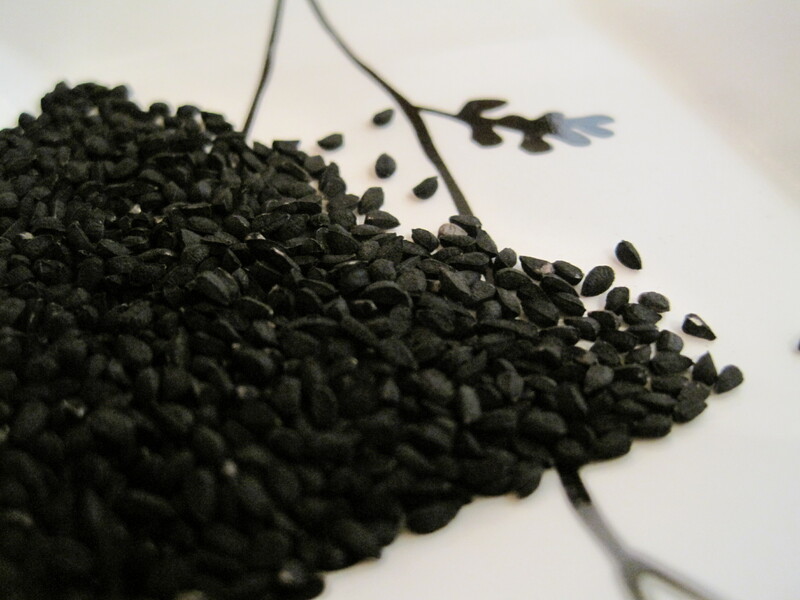 Often labeled kalonji or onion seed in the Indian markets, the small, teardrop-shaped nigella seed doesn’t hail from the onion plant, although it does taste faintly of nuts and fried onions. Nigella seeds are readily becoming more popular and specialty spice merchants and larger grocery stores will carry them. They are generally less expensive and available at your local Indian grocer. 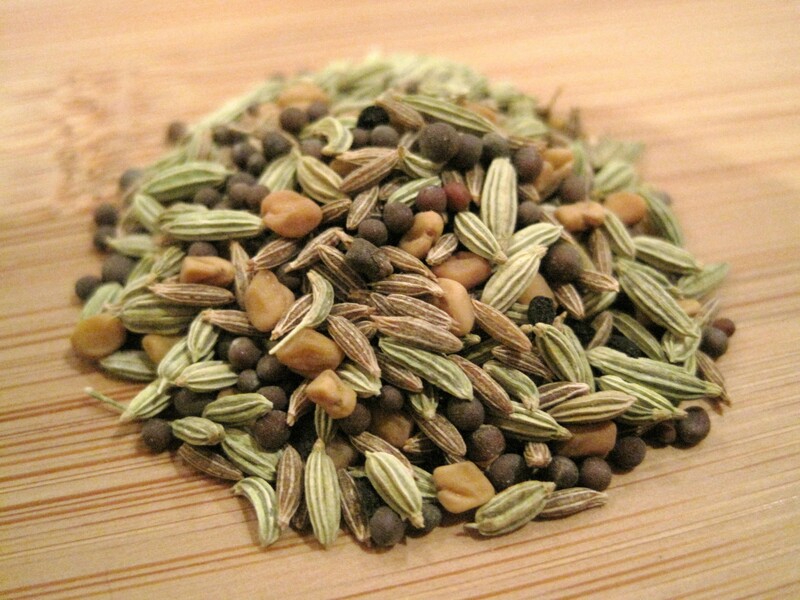 The five seeds in panch phoron include fennel, cumin, nigella, mustard and fenugreek. Panch phoron is often sold pre-mixed, which is convenient; however, one can easily make it by mixing equal parts of all five seeds. 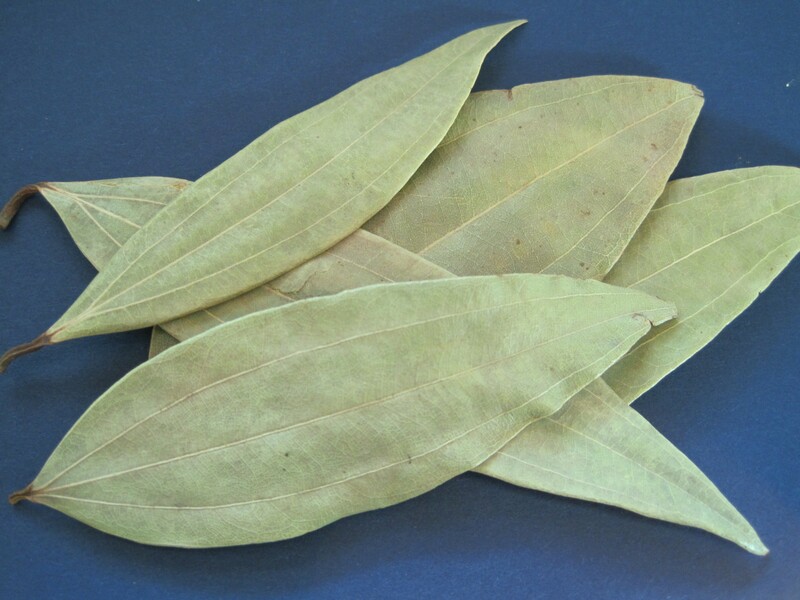 Although tej leaves and bay leaves are often used interchangeably, the two are a little different. The tej leaf comes from a tree that is closely related to the cinnamon family, whereas the bay leaf comes from the laurel tree. The tej leaf carries a sweetish under-note and the leaf is longer, more attenuated at the ends, with vertical, rather than horizontal, veining. 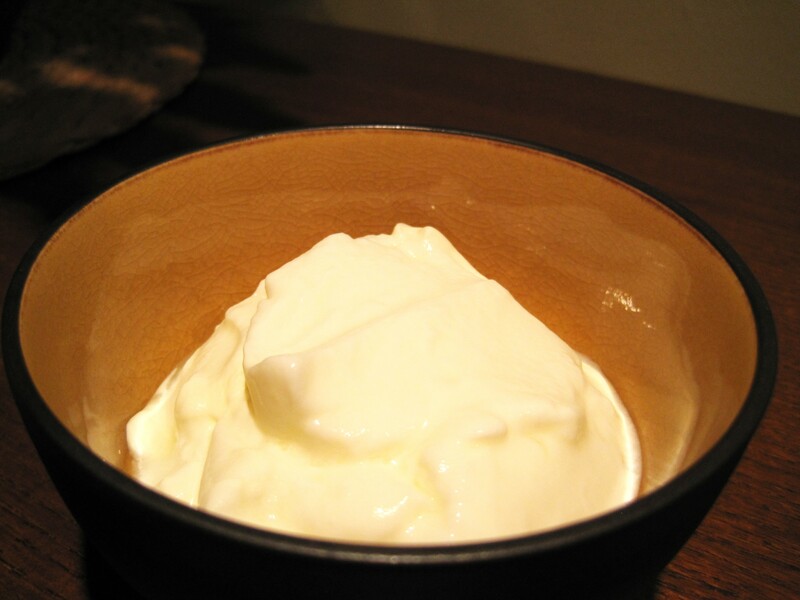 Buy plain yogurt, both low fat and non fat work equally well. We use yogurt to marinate meat and fish, add body to sauces, and also, to make condiments, desserts, and refreshing sweet and salty drinks. Yogurt enzymes help tenderize meats and the milk fats help thicken stews and sauces. This page is a start. 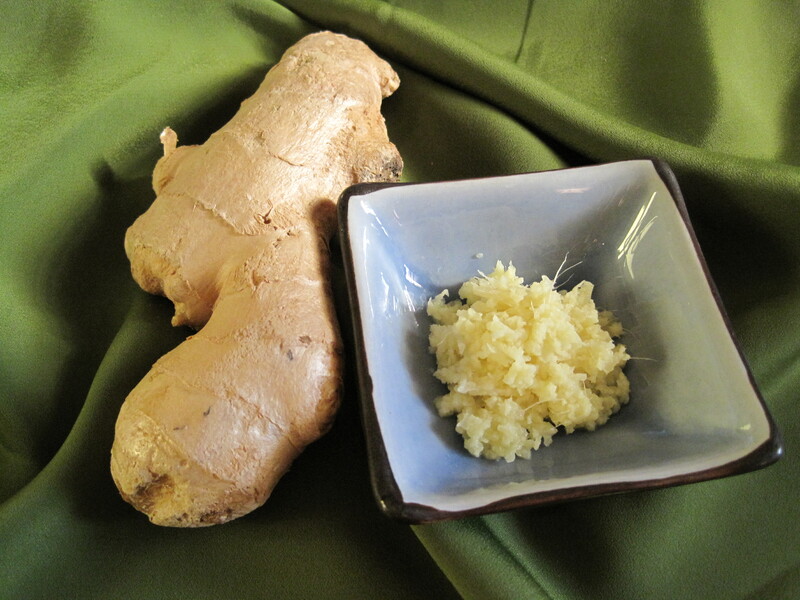 I will add spices and food items as the blog develops and grows. Thank you for your patience. Looking forward to more, Mimi…Great start! Great pics, makes it easier to understand the glossary. Looking forward to learning more. Thank you for creating such a cool blog, you have opened the door into a world of food I was scared to embrace and didn’t quite understand. thanks to yer blog I am totally interested in this new cusine and the pitcures make me want to lick the computer screen! Cool stuff! Imagine my delight when I realized I had nearly all the necessary spices. A quick trip to the local Indian market to pick up the rest. Looking forward to more. It’s a delight reading your blog. Can’t wait to try more of your recipes!